A CELEBRATION to mark the life of Father Patrick Dowd in Dunleer, incorporating Paris and the Canadian city of Montreal, would be a perfect ‘ local’ event as part of ‘ The Gathering’ in 2013. Next year marks the 200th anniversary of the birth of Fr Dowd, acclaimed as a man who saved thousands of lives in the years after the Famine when beaten and broken Irish arrived in Canada, intent on a new life. 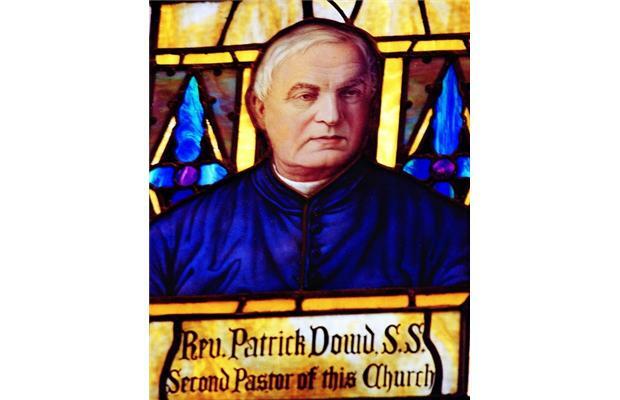 Fr Dowd has ventured out there in 1848 and became the pastor of St Patrick’s, Montreal, which for the many decades to come, proved a beacon of light for lost and vulnerable souls. His courage was awe-inspiring, yet it all began in his home town of Dunleer. He was the son of Patrick and Mary (McDonald) Dowd. He went off to Newry for Classical Studies as a young boy, and 180 years ago this year, departed for Paris to study at the Irish College. Five years later he was ordained a priest by the Archbishop of Paris, Monsignor Quelen. He returned to Ireland but a decade later made up his mind to join the Order of St Sulpice in Paris. On June 21 1848 he arrived in Montreal and 12 years later became Director of St Patrick’s. In 1865 he established a home for the old and infirm and a night refuge for the destitute and 140 years ago founded St Patrick’s School on St Alexander Street for girls. He held bazaars to provide funds for orphans and in 1877 organised one of the greatest Irish journeys out of Canada, the Irish Catholic Pilgrimage to Lourdes and Rome. Mysteriously, the ship on which they sailed lost all contact with home and for weeks it was feared it was lost. But thankfully, it reappeared. On a few occasions he was up for promotion, but declined roles in Toronto to stay with his congregation in Montreal. When addressing the City Council once he explained that when he arrived in Montreal he asked for a meeting of the Irish Catholic population, saying he was going to organise masses. 30 people turned up. Some years later he had five churches operating and a congregation of 30,000! Fr Dowd died on December 19th 1891 in Montreal. 20,000 people filed past his remains and his funeral, which was held in Notre-Dame, was attended by four bishops and 200 priests. He was buried in the crypt of the Grand Séminaire de Saint-Sulpice in Montreal. Margaret Murphy, now 91, and a native of Ballinfull, Hackballscross, is proud to say that Fr Dowd was her great, great granduncle and she would love to see his story revived and his memory truly honoured in Dunleer. Grey Nuns Famine Annal about Father Dowd and the Founding of St. Patrick’s Orphanage. Thu, Nov 21: Historian and author Alan Hustak talks about the Father Dowd Bicentennial Mass being held on Sunday at St. Patrick’s Basilica in Montreal and at a church in Ireland. Father Partrick Dowd was an important historical figure in Montreal. Stained glass of Father Dowd at St Patricks Basilica. that a mere parish priest can get away with defying the pope. But Father Patrick Dowd did, for which Montreal and its Catholics can be grateful. Father Dowd was born 200 years ago this month in Ireland. Educated there and in France, he was ordained in 1837, accepted into the Paris-based Compagnie de Saint-Sulpice in 1848 and immediately sent to St. Patrick’s Church (now Basilica) in Montreal, the new home of Montreal’s Irish Catholics. He took on his new duties with astonishing force. In 1849, he was instrumental in founding St. Patrick’s Orphanage to care for children whose parents had died in the typhus epidemic two years before. He helped found St. Patrick’s Hospital in 1852. Later, he was the driving force behind St. Bridget’s Home for the old, infirm and destitute (which by 1928 had evolved into the Father Dowd Memorial Home). Such energy quickly drew him to the attention of his superiors, and in 1852 Bishop Armand-François-Marie de Charbonnel of Toronto urged Rome to appoint Father Dowd as his coadjutor. Pope Pius IX duly issued the bulls elevating him to the episcopacy but, much to Charbonnel’s surprise, Dowd refused the appointment. Obstinacy, indeed. He had a mixed bag of reasons for shunning the appointment. He distrusted his ability to get along with Charbonnel. He feared he was ill-equipped to deal with the Protestant realities of Toronto. Most pertinently, he somehow feared that accepting the mitre would jeopardize his soul’s salvation. And lying behind all this was his desire not to abandon the Irish Catholics of Montreal, advancing whose welfare he believed was his true calling. Obstinate though Father Dowd was, Bishop Charbonnel was not about to give up. Through the first half of 1853 he pressed Dowd three more times to come to Toronto. Parallel to this, he went so far as to petition the Holy See to command the priest to accept, which only prompted Dowd himself to write to Rome outlining why he could not. But he wasn’t done yet, and asked “to postpone the hour of sacrifice” until he had received a reply to his own letter. This came in June, and was delivered by Father Pinsonneault. It was a thin logical reed, and the Canadian bishops as well as Dowd’s Sulpician superiors saw it as such. Through June and into July they increased their pressure — but to no avail. Bishop Ignace Bourget of Montreal went so far as to compose a letter deploring Dowd’s flouting of the authority of the bishops and, indeed, the pope. Such disobedience would oblige Bishop Bourget to dismiss him from the diocese. But before it could be delivered to Father Dowd, Bishop Charbonnel got wind of the letter. Evidently convinced at last of the depth of Dowd’s torment, he urged that any idea of such discipline be dropped, effectively ending as well the campaign to make him his coadjutor. Later, Father Dowd would be offered the bishoprics of Kingston and of Halifax, but these, too, he was successful in refusing. He served as curate of St. Patrick’s until December 1859 when at last he was named its pastor. He served the church and its people with undiminished vigour virtually to the day of his death on Dec. 19, 1891. Dr Jason King from Montreal speaks to us about the heroic Fr Patrick Dowd from Dunleer who saved the lives of thousands of Irish people during the famine times in Montreal. It is a great pleasure to be here today as Chair of the National Famine Commemoration Committee, at the launch of the virtual archive of the annals of the French-Canadian Sisters of Charity – the Grey Nuns – and I would like to congratulate everyone involved in this very important project. This project has brought the extensive and highly evocative eyewitness accounts of the suffering of famine migrants in 1847, which up until now were unpublished and unknown, to the general public in Ireland and abroad. The Great Irish Famine of 1845-1850 was the greatest social calamity in terms of mortality and suffering that Ireland has ever experienced. During those years, over one million people perished from hunger or, more commonly, from hunger-related diseases. In the decade following 1846, when the floodgates of emigration opened, more than 1.8 million people emigrated, with more than half fleeing during the famine years. This virtual archive of the annals of the Grey Nuns will serve as a most fitting tribute to commemorate those who suffered, died and emigrated during the Irish famine by making eye witness accounts of their experiences accessible to the public. In addition, the project has provided a valuable opportunity for young Irish and Canadian translators to gain professional experience and most importantly, this archive will represent a tangible and highly visible form of collaboration between Irish institutions and the Irish diaspora community in Montreal to commemorate the extraordinary contributions of those who emigrated and of their many descendents abroad. How apt it is that the virtual archive will be housed on the History of the Family platform at the University of Limerick, because the archive commemorates and recalls the endeavours of the Grey Nuns to keep Irish families together in the fever sheds of Montreal, and to find new families for famine orphans whose parents had not survived in quarantine or during the horrific conditions of their transatlantic voyage. It is also fitting that the virtual archive should be housed here, because it was emigrants and travellers from Munster who first bore witness and paid tribute to the legacy of the Grey Nuns for their compassion, devotion, and self-sacrifice in caring for the desolate famine emigrants. We recall Stephen De Vere, who risked his own life in travelling steerage with former tenants from his estate at Curragh Chase, County Limerick, to Grosse Isle and Montreal in 1847 and who then shocked British Parliamentarians into enacting comprehensive Passenger Act reform with his harrowing testimonial about his voyage. Stephen De Vere kept meticulous unpublished records of his correspondence and journals which document the impact of the famine on Irish emigrants and those who ministered to them, particularly the Grey Nuns. In these unpublished records De Vere declared that the hardships he experienced during his transatlantic voyage were ‘as nothing when compared to those so fearlessly encountered by the clergy and by that noble army of martyrs, the nuns’. As you may know, this year’s National Famine Commemoration is due to be held on 13th May in Drogheda, County Louth and this project has a specific connection with Drogheda. Father Patrick Dowd, who was born in Dunleer in 1813, served as a parish priest in Drogheda during the Famine from 1843 until 1847 and then moved to Montreal in 1848, where he worked closely with the Grey Nuns to care for Irish Famine orphans. It is therefore timely and appropriate that we now follow in the footsteps of these emigrants and travellers and now pay tribute to the legacy of the Grey Nuns in the form of this virtual archive. I would also like to mention the very important publication, ‘Recollecting Hunger’, which is the first anthology of Famine literature to be published and which will make visible the ways in which literary texts remember the Famine to general readers and students of all ages. The editors have taken well known material and obscure texts and brought these hidden treasures of Irish literary history to the attention of the public. I know that many of the contributors are here today and I am confident that it will become another valuable means of keeping this tragic time in our nation’s history alive in our collective memory. Finally, on behalf of the National Famine Commemoration Committee, I commend everyone, whose imagination; commitment and hard work over the past months have brought us all here today. This virtual archive is so important in keeping our history and our heritage alive and meaningful today and preserving it for future generations. Rev. Patrick Dowd: championed the rights of Montreal’s English-speaking Catholics. celebrate the 11 a.m. Mass on Nov 24 in his honour. church in which Dowd was baptized 200 years ago. Montreal during the Great Famine. He founded the St.
DUNLEER will mark the bicentenary of one of its greatest sons with a special day of celebration on Sunday next, November 24. The Gathering event for Fr Patrick Dowd, who helped save thousands of Irish Famine victims in Canada, begins with 11.30am Mass in St Brigid’s Church (where he was baptised 200 years ago) followed by a Dunleer Historical Society Exhibition in St Brigid’s Hall from 12.30pm to 6pm. It includes Fr Dowd’s portrait, photographs, and items associated with his time in Canada, letters home plus newspaper articles and writings on Fr Dowd’s life, works and achievements. The Dowd family tree will be on display, traced back to the Hermon Kings 1383BC, as well as booklets on his life. A series of short talks begin at 2pm, including at 2.10pm, Fr Dowd: Famine Hero in Montreal, by Dr Jason King (a native of Montreal) and then Fr Dowd and Thomas D’Arcy McGee, by Anthony Russell (Anglia Ruskin University). 3pm: Fr Dowd’s Life in Ireland and Family, by Gabriel Mathews (Fr Dowd’s Great Grand Nephew). In Canada, to mark the anniversary, Msgr. Francis Coyle Pastor of St Patrick’s Basilica, Montreal will celebrate the 11a.m. Mass on November 24 in honour of Fr Dowd.